Sometimes paint just doesn't cut it. Or your landlord won't let you paint or put nails in the wall, or do anything else that might need to be done in order to make a wall look just the way you want it to. That was the situation facing Kelsey MacDermaid, who wanted to give her bedroom an accent wall, but didn't have the freedom to do exactly what she wanted. Fortunately for her, Kelsey is one-half of The Sorry Girls, a 20-something Canadian duo whose online outlets provide do-it-yourself advice to millions of people around the world. She decided to create a removable faux brick wall for her bedroom. The best part? It actually looks like brick! To make this clean-looking faux brick wall, purchase 1" foam insulation sheets from your local hardware store -- enough to cover your wall. 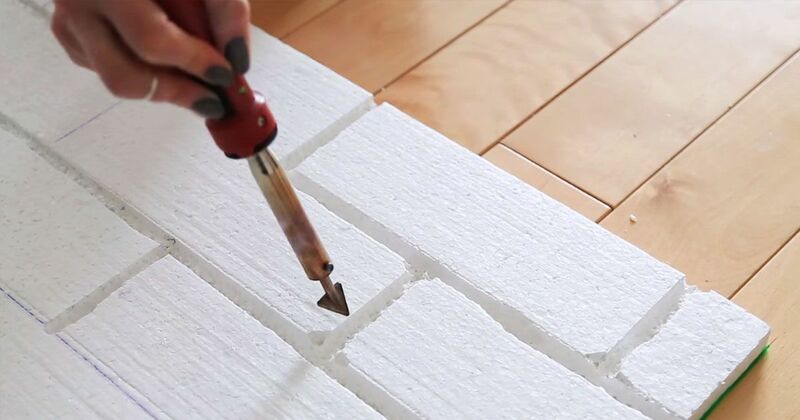 Mark off the brick pattern on the foam, then use a plastic welding tool to melt the foam in that pattern. 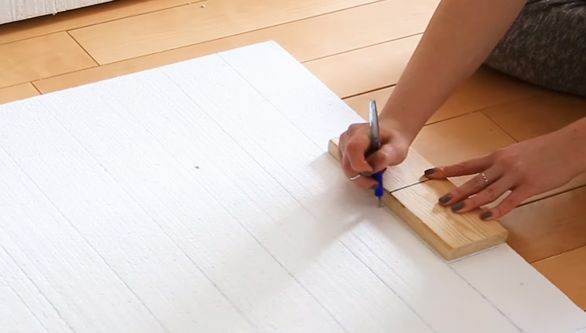 Use the tool to create as much of a distressed look as you like, then paint the foam with an acrylic or latex paint. The bonus? 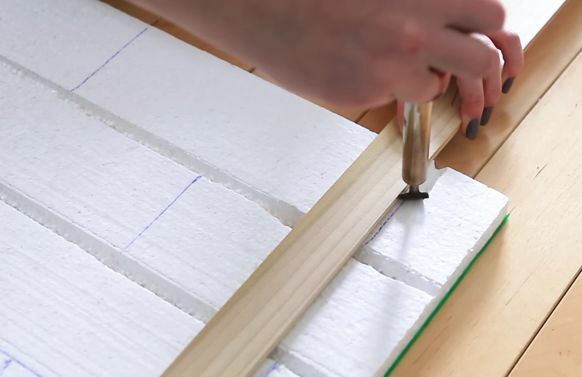 Making a faux brick wall, customizing it to the exact level of "distress" you want, and painting it the exact shade of color that you need is actually cheaper than purchasing sheets of traditionally-colored faux brick! Make sure to SHARE if you found this DIY as cool as we did!